I finally got to make an ombre cake! Yaaaaaaaaaaaaaaaay!! You may remember my yucky first attempt at a buttercream purple ombre cake...not pretty at all. Well I made this cake for my good friend, Kathryn. Last year I made her a quilt cake for her 30th. This year her hubby requested a cake but left the design up to me. 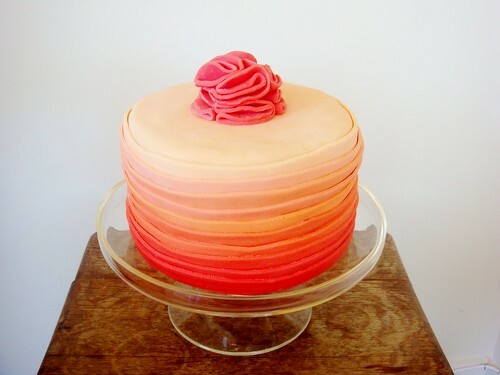 I found out her favourite colour was burnt orange (kind of like a sunset) so I thought an ombre cake in reddy-orange tones would be perfect! 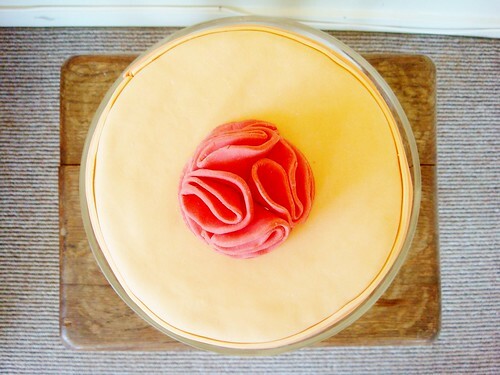 I made a fondant material rose bud (did that just make sense?) roughly from a tutorial I found on Pinterest. Let that sit over night then popped on top the morning it was due. Then tadaaa! Ah! This is awesome! Turned out so well. Good work Lyd! Hi! 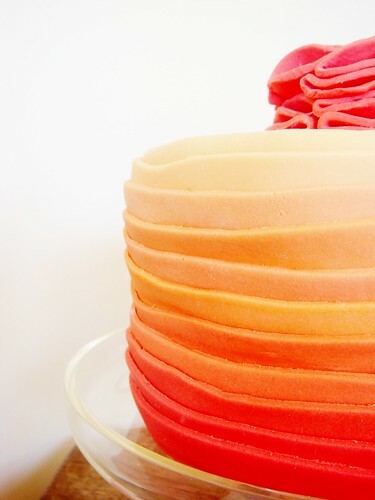 I'm working on a round-up of ombre cake recipes for The Huffington Post Taste and found your recipe. I would love to include it. Please let me know if you're interested. Thanks! Yes that is fine, thank you for asking! 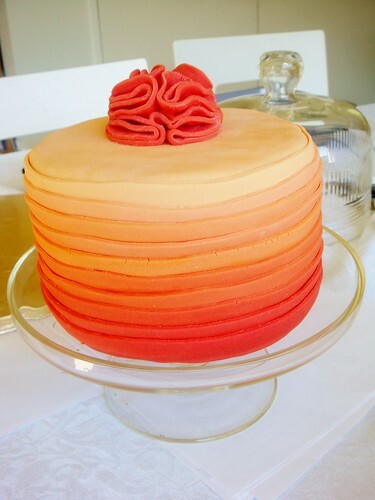 I also made a peachy orange ombre wedding cake for my cousins last year and I made two seams for the fondant, so I cut two strips of fondant to go around. Not sure if that makes sense! The hardest thing is making sure the fondant does rip or dry out too much before sticking it on. Other than that they're pretty easy to make! Let me know if you have any more questions, hopefully I haven't confused you more! Oh and send me a photo of the wedding cake when it's done I would LOVE to see! You can send it in a Facebook message if you like.